DIY Washing Machine Repair isn’t the forte of a lot of people. Fortunately for one handy father, resources are abundant online. Books on washing machine repair are also available. 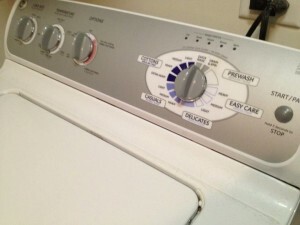 DIY Washing machine repair can be solved with tool on Youtube and other readily available resources. I just found a great resource on YouTube to help fix my washer. They actually have several things. YouTube and forums have been some of the best things to help with home repairs. It was the lid sensor. Ordered the cheapest replacement part online and fixed it. Only took about 5 minutes. The reason I knew it was this is because wire had completely frayed.